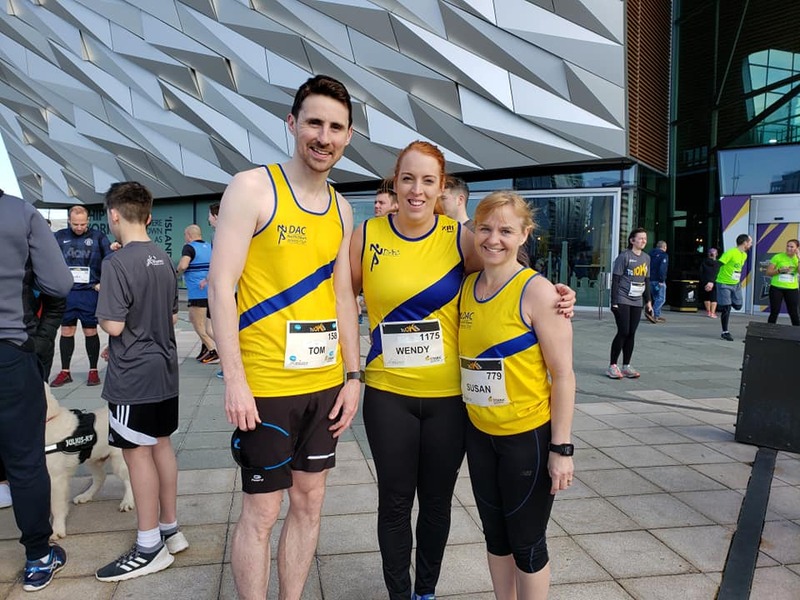 Billed as the official warm up to the Belfast City Marathon, the Titanic 10k this year had the added incentive of hosting an inter area team competition pitting the best of local athletes against a team of men and woman from their North of England counterparts. 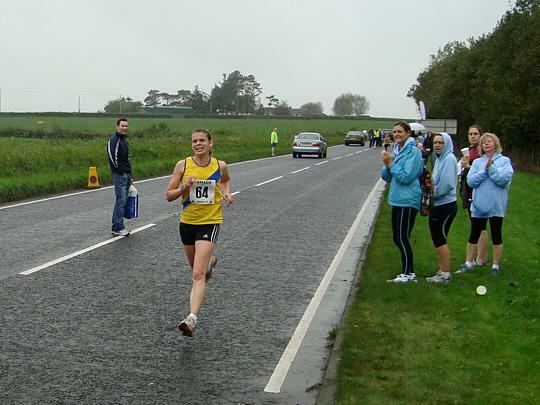 Having represented Northern Ireland with distinction at the Armagh road races, Rachel Gibson was delighted to receive a last minute call up to Team NI and certainly made the most of the opportunity, cashing in on perfect conditions to set a new personal best of 36:43 (49th overall). 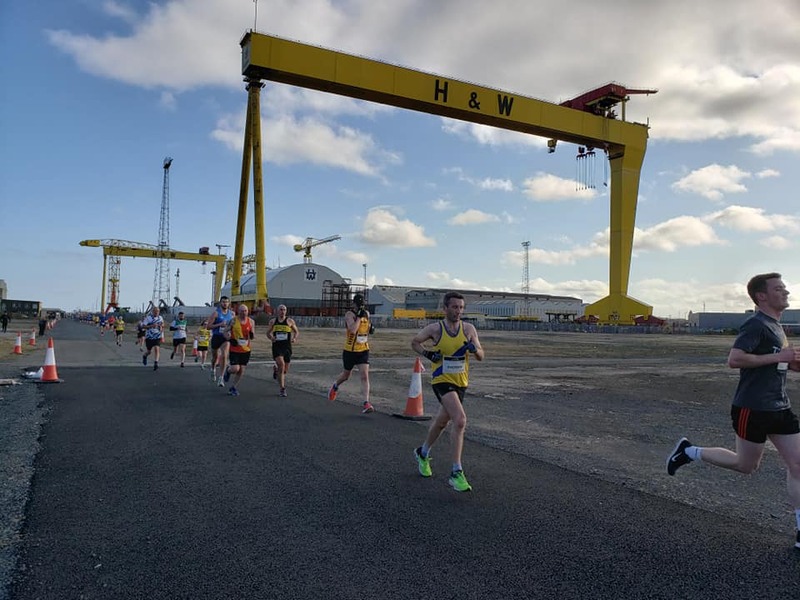 On a beautifully crisp spring morning, personal bests were the order of the day, Chris Downey (37:49/68th) and Andrew Muir (38:27/76th) setting new benchmarks and David Massey (38:44/80th) posting a season’s best, before Steven Donegan crossed in 39:42 (98th), delighted to break the 40 minute barrier for the first time. 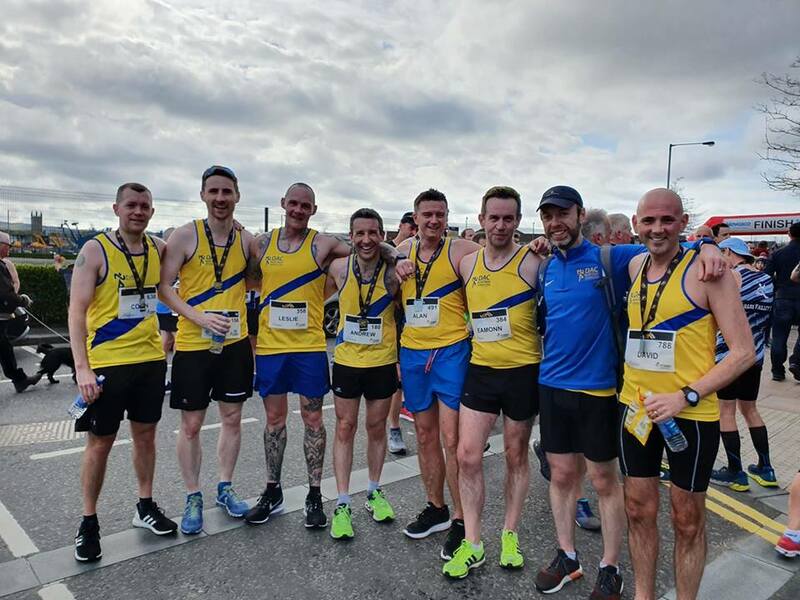 Eamonn O’Reilly (41:13) and Terry Eakin (41:54) finished in quick succession, before a tightly packed group of Alan Massey (42:06), Philip Giles (42:07) and Les Boyd (42:08/Pb). 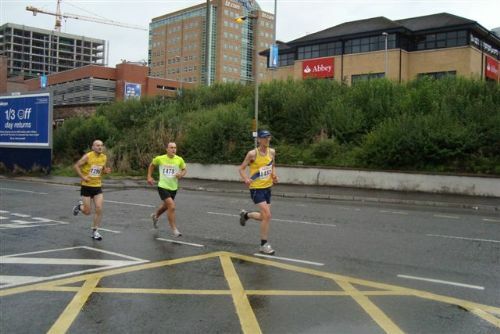 Tom Agnew posted 42:50, Colin Caldwell 44:32 and Roy Sittlington a season’s best of 46:36. 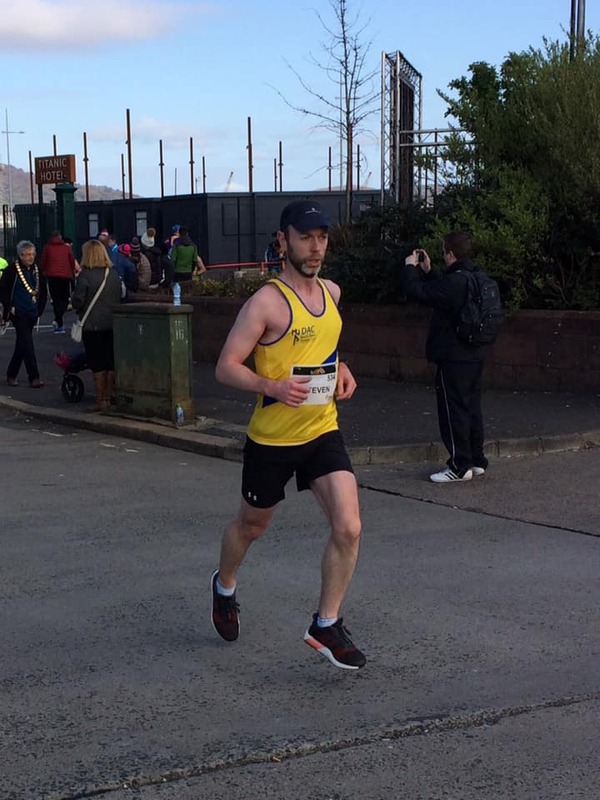 Cliff McCausland (47:12) showed no ill effects from the Larne Half Marathon to claim his medal just ahead of Paul Lynas (47:44) and Chris Williams (49:00), whilst Jamie Stevenson (49:48) claimed a new PB, just in front of Susan Spence (49:50). 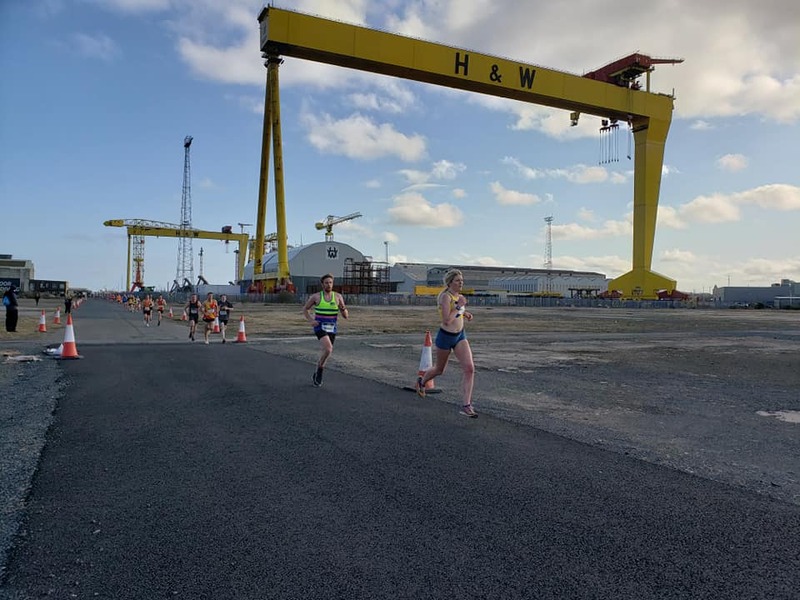 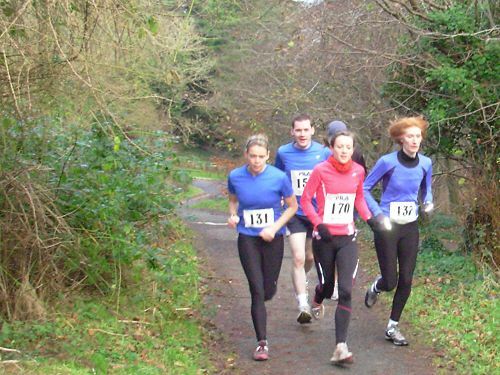 John Ferguson (50:27) was just the other side of 50, whilst Maeve Williams finished on 50:55, Wendy Murray, 51:43 and Valerie Blayney, 52:48. 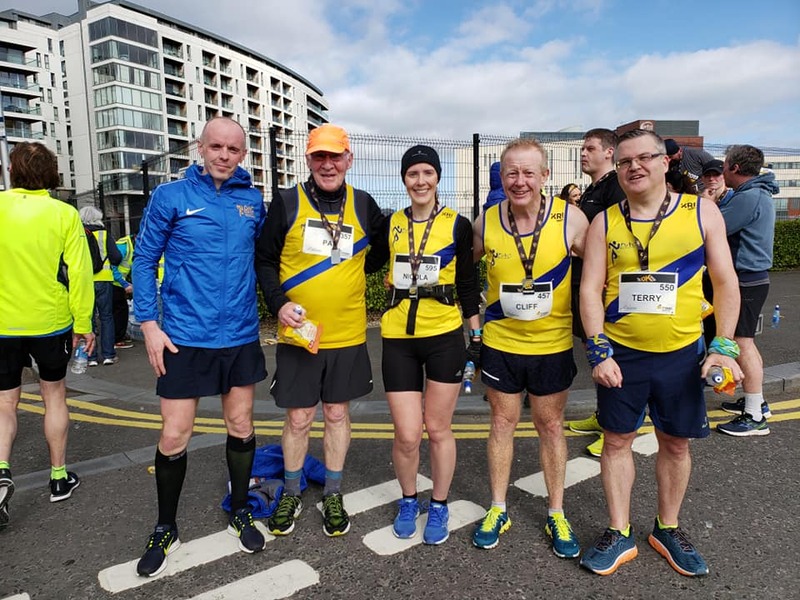 Richard Garrad (52:01) claimed a medal for the last 6 miles of a marathon prep 20 miler, as did Nicola Downey (55:02), in between times Nicola Stevenson ran 54:24, whilst Pat O’Driscoll (1:02.40) showed his pedigree in running a negative split of nearly 4 minutes!